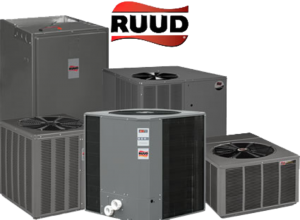 When you’re unsure of how to make the most out of your air conditioning and heating units, you may feel like it’s time to call in someone to handle your The Woodlands AC Service. Are you trying to discover what needs to happen when things get out of the ordinary? Perhaps your heating units aren’t prepared for the winter months that are coming up and you want someone to help you out. 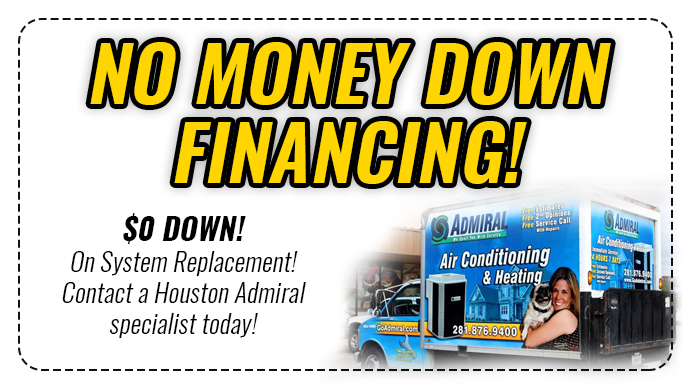 Whatever the case may be, know that you can count on Houston Admiral Services. While you may not have hope, we can restore your faith in your AC. Houston Admiral Services is a company that has been helping residential and commercial companies for years now. Are you trying to figure out how you’re going to be able to get the most out of your air conditioning and heating units? Perhaps you don’t know what you’re going to need to do to make sure you’re able to succeed through all the difficulties you’re currently going through. Because of these issues, you may feel discouraged in your AC situation. While this might seem tough at first, our AC repair services are here to provide assistance when it matters. Are you someone who really cares about keeping your maintenance levels kept up and checked out around the clock? Maybe you don’t know how you’re going to make sure your air conditioning machines are in awesome conditions at all times. This is something that can be very valuable for you, and it will help you understand yours setups much better. If you’re looking for inspections and maintenance, you can count on our team to provide you with assistance. Houston Admiral Services wants you to bae able to count on what means the most for you. Are you looking for a way to make sure your air conditioning and heating units stay in great condition for the foreseeable future? When this happens, count on our inspection plans to do the job for you. We’ve got a ton of resources that will help you make the most out of whatever is going on with your air conditioning and heating. This is a big part of your betterment, and we’ll make sure you’re able to get through and make the most out of whatever it is that’s going on. Did you know that we offer a 31-point detailed inspection for our customers? This is something that we have put a lot of confidence in, and our technicians are proud to offer it. We go through each and every crevice that could contain a malfunction. Our inspections are thorough, effective, and perfect for helping with preventative maintenance. While you may feel a bit discouraged about what’s going on, you’ll be able to count on Houston Admiral Services whenever you feel like you don’t have the right answers on your side. Many people forget about the importance of maintenance. The truth is that many air conditioning units will start to fail after 15-20 years. However, that doesn’t mean you can just sit back and let it fall apart until that happens you’re going to have to fix it and maintain it if you want to get that full lifespan. Unfortunately, not enough Texans take this seriously and give it the proper respect and due diligence it deserves. Make sure you’re not one of these people and call our team when you notice things happening. Our The Woodlands AC Service services are perfect for you regardless of the type of building or structure you’re in. are you currently going through some residential air conditioning and cooling problems? 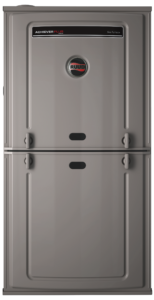 If your unit’s struggling to make the cool air you need and you’re out to options, you’re probably on the hunt for something different. While you may not know what to get quite yet, you can count on our team to steer you in the right direction. Are you trying to figure out your commercial heating neds? If you’ve recently moved into a brand new office, you may have a group of workers who are complaining about the old air getting in the way of their productivity. Dealing with a frigid office can really stop you from getting the most out of your system, and your home may suffer, too. Make sure your employees are able to work their hearts out by calling in Houston Admiral Services for help. We’ll make sure you and your team are properly taken care of, and we’ll take pride in our services. Call our team when you want a prideful group of professionals who want to help you in the best ways. Houston Admiral Services is a company that wants to make sure you’re properly taken care of and protected from the things that give you the most grief. Are you trying to figure out how you’re going to be able to overcome your heating and cooling needs, but you don’t know how you’re going to afford it? This is a very common problem, and it’s one that we’ve seen before after all, nobody in Texas has access to an unlimited amount of money. Because of this, you’re going to need to make sure you have the right resources for when things go wrong. Make sure you align yourself with a great team by calling in Houston Admiral Services. 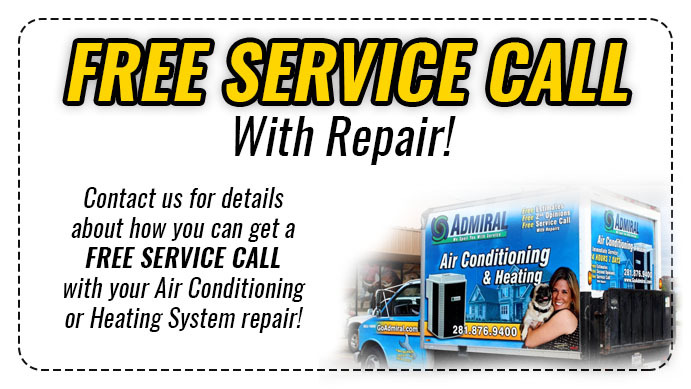 We truly care about what’s going on with your The Woodlands AC Service needs. And with that being said, we’re ready to help when it counts. If you’re having problems with your cooling and heating problems, our team will be there to provide you with the assistance you deserve. Call us today at 281-876-9400 for more information on what we do. The Woodlands is far from being the biggest city in Texas, but it does happen to be one of the safest. Here, we have everything you could want out of the big city. Eateries, restaurants, and movie theaters are all around our city, and that’s just the beginning. However, we’ve thankfully found a way to retain our rural roots! Visit The Woodlands for more information on what we can do for you. Because our team is on your side, you’ll have a great way to learn more about our city!